Will you be in ANCHORAGE on December 15th? 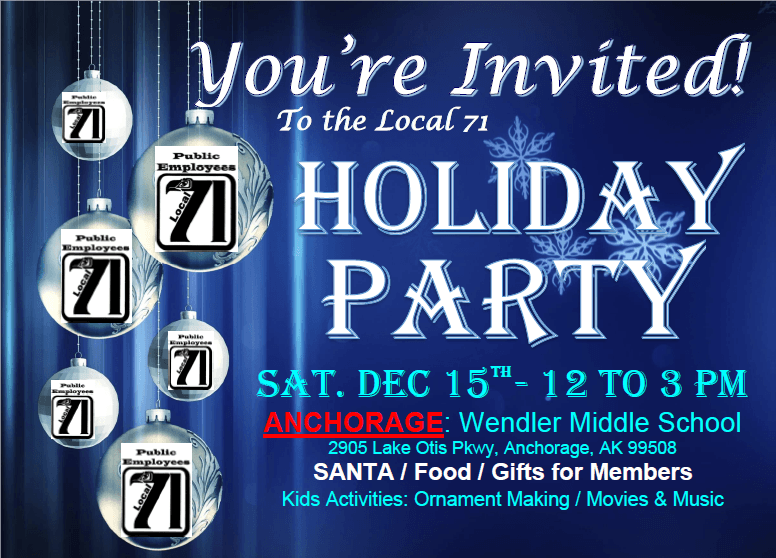 Let's Celebrate the Holidays in Local 71 style! Food, drink, Santa, music, movies, presents, drawings, ornament making, and best of all - Your Union Family!